Pairing the right food with your wine can help make the dining experience better. 3 What Finger Foods for a Red Wine Tasting Evening? 4 How Many Calories in Chopped Antipasto Salad? When serving wine with food, it's a good idea to ensure that the wine and food complement each other. This will help your guests have a fully satisfying experience. 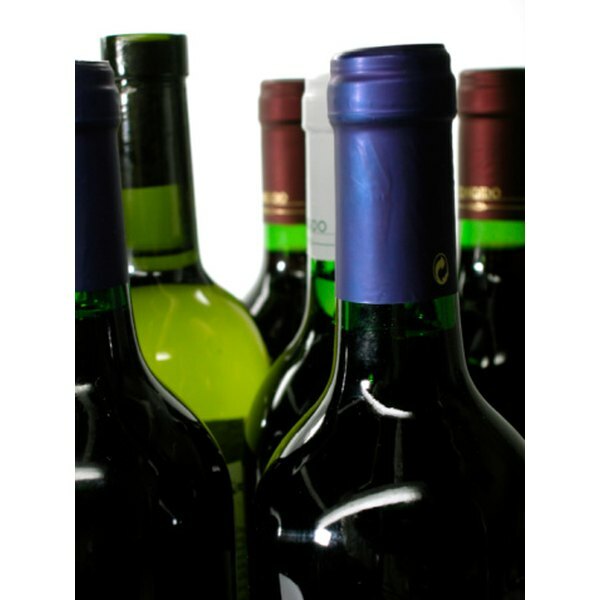 Cabernet Sauvignon is a rich and lively red wine with flavors of pepper, currant and spice. It is a great complement to beef or lamb dishes, creamy and buttery foods and tomato based recipes. Avoid pairing it with very spicy foods, as those flavors do not go well together. Meatballs make a fun and tasty party snack, and will complement a Cabernet very well. Combine 1 lb. ground beef, one egg, 1/2 cup of breadcrumbs, 2 to 3 tbsp. of minced onion and 2 tbsp. of water in a bowl, and mix well until it sticks together. Bake in a 350 degree oven for 20 to 25 minutes, turning once. Experiment with different dipping sauces; a Cabernet would go well with a sauce made from dark berries, such as cherries, blackberries or cranberries. Bruschetta with the traditional tomato and basil topping is an appetizer that will please many guests. Combine peeled, chopped tomatoes from about 1 1/2 lbs. of tomatoes with two minced cloves of garlic, 1 tbsp. extra virgin olive oil and 1 tsp. of balsamic vinegar. Mix, then add six to eight fresh basil leaves, chopped, and salt and pepper to taste. Slice a baguette and toast the slices in the oven. Top the toasted bread with the tomato mixture and serve immediately. A cheese plate is a simple yet delicious appetizer. Cheeses that go well with Cabernet are aged Gouda, blue cheese, Camembert, aged cheddar, Gruyere and Parmesan. Finish off the plate with some cured meats, pate and fruit such as pears and apricots. Serve with some slices of baguette or some crackers. The rich flavor of mushrooms pairs well with Cabernet, and combined with a rich filling, stuffed mushrooms make a great snack to enjoy with this wine. In a bowl, combine 1/2 cup breadcrumbs, 1/2 cup grated Pecorino Romano cheese, two minced cloves of garlic, 2 tbsp. chopped fresh Italian parsley, 1 tbsp. chopped fresh mint, 2 tbsp. olive oil and some salt and pepper, and mix well. Pull the stems from about 28 white mushrooms. Spoon the mixture into the mushrooms, and place them on an oiled baking sheet. Bake them for about 25 minutes in a 400 degree oven. Allow to cool slightly, then serve. Beth Wankel is currently working as a freelance writer, editor and as a parenting blogger. She holds a bachelor's degree in English, with a minor in print journalism from the University of Wisconsin-Eau Claire. She has several years of professional writing and editing experience, namely web writing. Wankel resides in San Francisco with her husband and young son. What Food Items Can You Use With a Cheese Fondue?